The generation of an electrical power is usually three phase and at higher voltages like 13.2 kV, 22 kV or somewhat highe. Similarly transmission of an electrical power is also at very high voltages like 110 kV, 132 kV or 400 kV. 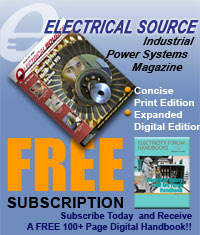 To set up the generated voltages for transmission purposes it is necessary to have three phase transformers. At the time of distribution it is necessary to reduce the voltage level upto 6600 V, 440 V, 230 V etc. For which set down three phase transformers are essential. Thus three phase transformers proves to be economical in transmission and utilization of electrical energy. Previously it was a common practice to employ suitable interconnected three single phase transformers than to have a single three phase transformer which is popular now a days and used widely. In a single three phase transformer there is improvement in design and manufacture. 1. A three phase transformer occupies less space for same rating, compared to a bank of three single phase transformers. 3. Its cost is less. 4. Only one unit is required to be handled which makes it easy for the operator. 5. It can be transported easly. 6. The core will be of smaller size and the material required for the core is less. 7. Single three phase unit is more efficient. 8. In case of three single phase units, six terminals are required to be brought out while in case of one three phase unit, only three terminals are required to be brought out. 9. The overall busbar strcture, switchgear and installation of single three phase unit is simpler. In contrast to above, a bank of three single phase transformers is used in underground work such as in mines as it is easier to transport these units. The bank of three single phase transformers also offers the advantage of open delta operation with reduced rating when one of the units in the bank is inoperative. 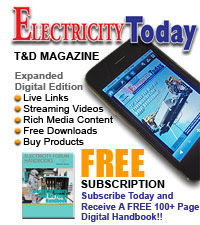 But it is common practice to use a single three phase transformer unit due to its reduced cost. The three phase transformers can be core type or shell type. The three core type single phase transformers can be combined to get three phase core type transformers. Similarly three single phase shell type transformers can be combined together to form a three phase shell type transformer. 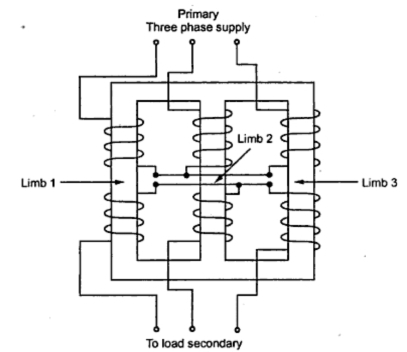 Core type three phase transformer has three limb construction as shown in the Fig. 1. The core consists of three legs with the magnetic circuit completed through two yokes, one at the top and the other at the bottom. Each limb has primary and secondary winding arranged concentrically. The core type transformer usually wound with circular cylindrical coils. A primary and a secondary winding of one phase are wound on one leg. Flux flows up each leg in turn and down the other two legs in general so that the magnetic circuits of different phases are in series and therefore independent. The transformer is having only two windings each of which is containing two primary and two secondary windings. In shell type transformer the three phases are more independent than they are in the core type of three phase transformer. This is because each phase has an individual magnetic circuit which is independent of the other. The construction of shell type three phase transformer is shown in the Fig. 2(a), while the arrangement of the windings is shown in the Fig. 2(b). While showing the winding arrangement only one winding is shown for the simplicity. The three phase shell type of transformer has construction similar to that of single phase shell type transformers built on top of one another. This type of transformer is rarely used. 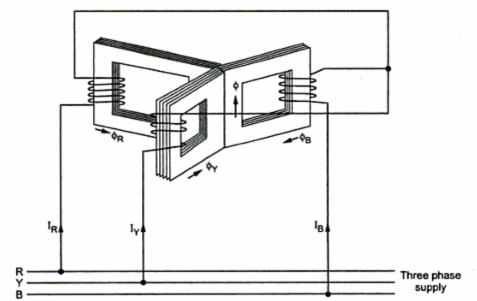 The basic principle of a three phase transformer is shown in the Fig. 3. The three cores are arranged at 120o from each other. Only primary windings are show on the cores for simplicity. The primaries are connected to the three phase supply. The primaries carry the currents IR, IY and IB producing the fluxes ΦR, ΦY and ΦB in the individual cores. The common leg of the cores i.e. centre leg formed carries sum of the all three fluxes. But at any instant, in a three phase system, ĪR + ĪY + ĪB = 0, hence the sum of the three fluxes is also zero at any instant. Hence the centre leg does not carry any flux. So if centre leg is removed, It hardly makes any difference in the other conditions of the transformer. If is is removed, any two legs provide the return path for the current and hence the flux in the third leg. This is the general principle used in the design of three phase core type transformers. Three single phase transformers are connected together to have a three phase transformer. The three single phase transformers form a bank have identical ratings and characteristics. If the voltages impressed on the primary are balanced then the voltages in the secondary are also balanced when the load is same on each of them. In order to achieve some saving in iron, single unit of three phase transformer may be constructed, But the main drawback with single unit of three phase transformer is if any one of the phases becomes faulty then the whole transformer is required to be removed from service, for repair work. This is not the case with bank of three single phase transformers. In case of connections of three single phase transformers forming a bank, if one of the transformers is faulty then the system operation still can be retained with open delta connection at reduced capacity. Thus relability is improved and continuity of supply can be maintained which is advantageous. Also it is possible to replace the single phase transformer from spares than a single three phase transformer. In a bank of three single phase transformers, the phases are electrically connected but the three magnetic circuits are independent. In case of single three phase transformer unit, the three magnetic circuits are linked. As seen previously, single phase banks are preferred in mines due to easier underground transport. It is cheaper to have single phase banks than a three phase unit if one installation is concerned. 1. It may be possible to have one transformer in a bank with higher KVA rating than the other so that balanced load can be supplied. 2. When on of the transformer is out of service then also system operation is possible with remaining two transformers using V-V connection at reduced capacity. 3.In a bank of three single phase transformers, only one single phase transformer is to be kept as spare rather than to kept a whole three phase unit which is expensive. Thus requirement of standby is less in case of bank of three single phase transformers. 4. It is more convenient to transport single phase transformers than three phase transformer. Three phase transformer is a type of poly phase system, which will carry 3 AC’s with the one conductor as the reference and the other two circuits are delayed in time by one and two thirds of the electric current. This is such a nice blog and It is really helpful for me, But i am looking for the Three phase transformer related post,So please suggest and share if you have. The conductor needed in a three phase is 75% that of conductor required in single phase. Moreover, the instantaneous power in single phase falls to zero, while in three-phase, the net power from all phases provides continuous power to the load.